Christina Ray has written an intriguing though somewhat frustrating book. Extreme Risk Management: Revolutionary Approaches to Evaluating and Measuring Risk (McGraw-Hill, 2010) draws in part on methodologies of the intelligence community and argues for their efficacy in managing financial risk. More specifically, she contends that causal models, coupled with expert knowledge, are better predictors of black swan events than statistical models that rely on correlation. It would be a cheap shot to note that U.S. intelligence saddled the country with the costly results of false positives and missed deadly events. I am enough of a philosopher, a word I use loosely here, to analyze conflicting methodologies on their theoretical merits. Well, that’s not quite true. I am somewhat biased against statistical models perhaps because, statistically, I don’t think they work particularly well. So I was prepared to be convinced by an argument for a causal model, all the while holding my breath because causality is such a thorny concept. I can’t say that I became a true believer, but certain elements of the causal model as developed in this study are intellectually attractive. Although Ray has written an actionable book for financial professionals and regulators who engage in varieties of stress testing and whose mission is to prevent their firms or the system from getting slapped around by fat tails, I’m going to focus in this post on a couple of topics I consider to be important to the individual trader or investor. First, road signs of regime change and, second, inferring causality from historical market behavior. As for inferring causality from historical market behavior, Ray outlines two approaches—the theory-driven approach and the data-driven approach. In the former “the analyst hypothesizes some model of a system and then attempts to determine whether observational data bear out or contradict that theory.” In the latter, “a modeler assumes no prior knowledge about systems behavior, and instead attempts to infer causality from empirical data alone.” The first approach “requires an iterative process, in which prior knowledge is refined to posterior knowledge as theory and experience merge.” The data-driven approach relies on inductive reasoning, much of it fleshed out by researchers in the field of artificial intelligence. It also differentiates among types of causality such as potential causes, genuine causes, spurious association, and genuine causation with temporal information. (pp. 226-27) By the way, here Ray cites the work of Judea Pearl from the 1990s; for those interested in his research, he has a website that offers its visitors two “gentle” introductions. Ray continues, and here let me quote her at greater length: “In spite of the fact that the global financial system continually evolves in small ways and large, historical data can nevertheless provide evidence of causality. Although old cause-and-effect relationships may change and new ones form, there are still carryovers from state to state, not the least of which are behavioral effects. Human nature is one of the few constants, and human preferences—especially with respect to risk aversion—are one of the major drivers of market prices, perhaps even more important than any invisible hand. Extreme Risk Management is not for the novice trader or investor or the quantitatively challenged, even though there is almost no math in the book. It is also not a book that could ever be described as a good read because the prose is often dense and the arguments truncated. Moreover, it draws from so many fields that almost by definition the reader will lose her way now and again. It assumes a familiarity with some notions I’ve written about in this blog, such as degrees of freedom and complex adaptive systems, and with a host of others better left to those more qualified than I.
I’m sure that most people who read this book will learn from it and move on to something else in their lives. I, however, came away from it with a “to-do” list—references to follow up on, ideas that are enticing but need more development. This may not be the litmus test of a good book, but I personally appreciate an author who can stimulate me to do some work on my own. According to industry metrics investment in hedge funds is concentrated: most hedge fund investors commit 85-90% of their assets to the same 170 to 200 large hedge funds. (p. 183) But some of the investors interviewed for this book have seeded new funds or have invested in early-stage funds. For instance, Frank Meyer seeded Ken Griffin of Citadel fame. At Investcorp Deepak Gurnani proceeded more quantitatively through his Alpha Project. A group of five quants and tech people dissected the primary hedge fund strategies and “determined the generic trade that defines each strategy.” They then constructed a database of historical prices for securities in that strategy. Moving strategy by strategy, they calculated proprietary indexes of generic hedge fund returns. On the basis of these indexes they will either look for managers who are adding alpha or use more cost-effective ways to generate the same return. Top Hedge Fund Investors is written for those who invest in hedge funds and, by extension, for hedge fund managers. (It’s imperative to know what your potential clients are thinking.) Ma and Pa Kettle won’t learn much about where to put their nest egg. Today I am turning over the blog to a guest poster, Steve Boyko, whose book I reviewed some time back. Although we are not cut from the same political cloth and aren’t impassioned by the same issues, we share an interest in analyzing the weaknesses of standard risk models. Steve looks at these weaknesses at the regulatory level; I go at them from the perspective of the trader. But enough blathering; here’s his contribution. He welcomes comments. Like the World War II French Generals who built the Maginot Line’s fixed fortifications in reaction to World War I tactics, Dodd and Frank proposed legislation in response to the most recent crash. Their response focuses on scale, Too-Big-To-Fail (“TBTF”), rather than the economic randomness of predictable, probabilistic, and uncertain valuations which is Too-Random-To-Regulate (“TRTR”). Our “financial generals” have unfortunately conflated risk and uncertainty in deterministic, one-size-fits-all governance metric that almost certainly will result in a dysfunctional price discovery mechanism leading to increasingly more frequent and larger economic dislocations. The subprime housing crash has been called the perfect financial storm. It, like most recent crashes, was the perfect blend of financial innovation and congressional interference that enabled financial opportunism to take place when low-hanging opportunities were exhausted. There were no innocents—not unqualified home-buyers, not banks, not Government Sponsored Enterprises (“GSEs”), not regulatory agencies. Financial alchemists marketed the hole-in-the-donut to naive opportunists whose faulty due diligence suggested that cheap was well-bought and that well-bought would soon become profitably well-sold. Recall the S&L meltdown, where the indeterminate “asset” on the books of many insolvent S&Ls was “regulatory goodwill” – the regulator’s reward for acquiring an even more insolvent thrift. Who could have foreseen the Resolution Trust Corporation’s (RTC) liquidations that occurred when minimum reserve requirements became illusory in a setting where capital consisted of vapor assets? Likewise with the subprime crash, Dr. Stanley Liebowitz of the University of Texas posited that the single most important factor in home foreclosures was negative equity. No-money-down, liar loans effectively gave property rights to renters. This created a moral hazard where investor rights exceeded their responsibilities. Liebowitz demonstrated that the presence of such loans also misdirected policymakers’ focus toward the wrong variables for controlling the adverse consequences of the subprime crash. In a world of financial innovation, it is uncertainty — not risk — that should be the randomness component of focus. Uncertainty is different from, rather than a higher degree of, risk. This distinction was made famous by economist Frank H. Knight in his seminal book, “Risk, Uncertainty, and Profit” (1921). Risk refers to situations in which the outcome of an event is unknown, but the decision maker knows the range of possible outcomes and the probabilities of each. Uncertainty, by contrast, characterizes situations in which the range of possible outcomes, let alone the relevant probabilities, is unknown. The Dodd-Frank financial reform was brought about by a troubling trend of more frequent and larger economic crashes. In undertaking a complex reform, sequence and timing are critical. Policymakers had to determine whether the capital market needed reform by amending the existing deterministic, one-size-fits-all system; or, whether the capital market system was broken and required fundamental structural repair. If the former, what is new or innovative in the 2,000-plus pages of Dodd-Frank? If the latter, which proposals introduce REAL structural change? The solution for Dodd-Frank-type legislation with one-size-fits-all deterministic regulatory metrics is to segment randomness into: predictable (money market investments), probable (positive cash low, earnings-driven, NYSE and NASDAQ issuers that are marked-to-the-market) and uncertain (negative cash low, event-driven issuers that are marked-to-the-model) regimes. Stephen A. Boyko is the Chairman and CEO of N2K Ecosystems, Inc. — a business development consultancy providing market-based solutions for entrepreneurial wealthfare. He has over forty years of financial services industry experience that include formulating regulatory policy for the National Association of Securities Dealers ("NASD"), managing regional brokerage operations for retail, institutional, and corporate clients, and providing a practitioner's perspective for the privatization of the former Soviet Union in the areas of corporate governance and regulatory development of the Ukrainian Capital Market. Mr. Boyko holds a BA in history from Bates College and an MBA in finance from American University. He is conversant in French, Russian, and Ukrainian and serves on the Advisory Board of Yorktown University. Mr. Boyko is the Author of “We’re All Screwed: How Toxic Regulation Will Crush the Free Market System” http://www.traderspress.com/detail.php?PKey=671. He can be reached at n2keco@bellsouth.net. Mastering the Art of Equity Trading through Simulation: The TraderEx Course by Robert A. Schwartz, Gregory M. Sipress, and Bruce W. Weber (Wiley, 2010) is in effect a manual for some nifty web-based software that is freely accessible to anyone who has purchased either this book or MicroMarkets, which I reviewed earlier. So let’s look at what this software does. First of all, the software offers four kinds of markets: a continuous order book market, a call auction, a dealer market, and a block trading facility. It then generates order flow drawn from various statistical distributions outlined in some detail in the book. You interact with this order flow, placing either market or limit orders in a size you choose which in turn influences the market. You can, of course, configure the simulator’s parameters—for instance, the length of the simulation (one day is the default), the tick size, initial price, and daily return volatility. You can also set how often the machine generates orders and how often information arrives that indicates the stock is over- or undervalued. And you can set the speed of the simulation. Once you have finished an exercise you can save order and trade data to an Excel file. 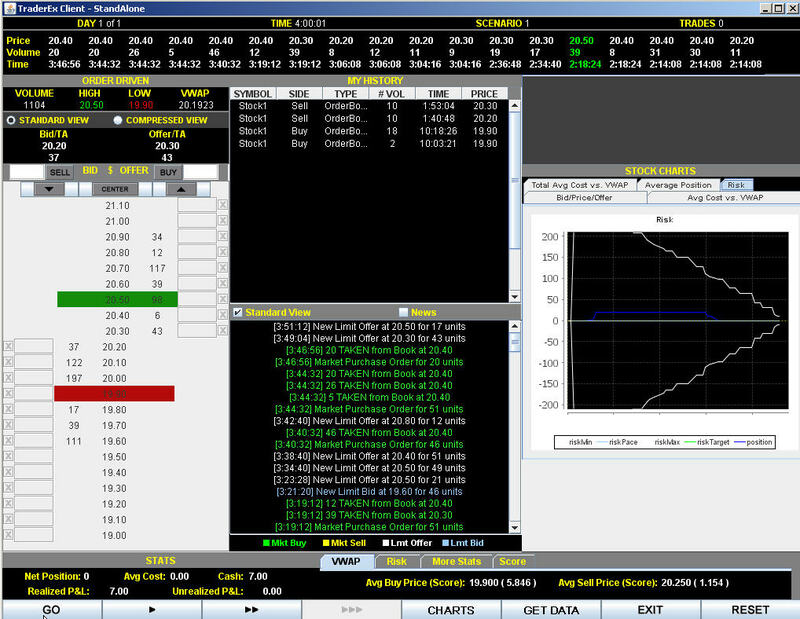 A trader will probably not profit much from simply hacking away at the software, though admittedly it’s fun. But the second half of Mastering the Art of Equity Trading through Simulation offers a series of exercises that turn play time into enjoyable structured learning. 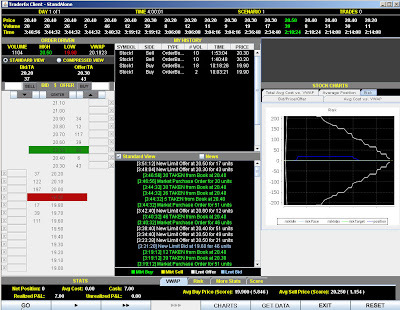 For instance, the exercises allow you to compare the results of various limit order and market order tactics. They challenge you to buy and sell a large position in prescribed chunks, deal with the effects of heightened volatility, and assume the role of the ax. TraderEx, it is important to recognize, offers something very different from the market replay scenarios available on many trading platforms. For instance, it is not designed to improve a trader’s chart reading skills; there are no charts. It focuses instead on tape reading and how to work orders to get the best price, reduce transaction costs, and minimize risk. In brief, it addresses something that many traders ignore at their peril. I rarely consider books bargains, but considering that you get a mini-course in order execution plus access to simulation software which you can use to your heart’s content for around $50 I think this paperback qualifies. Now back to honing my skills and having some fun! Occasionally we all need a break from the seriousness of life. Here, from way back in the past, though still available online, is an abbreviated version of one of Philip M. Halperin’s “Scribblings,” originally entitled "Devil's Dictionary for Options Trading." A Method by which the practitioner can, after much study, predict the impact of news the market has already discounted in its pricing. A Learned System for predicting the immediate past. A Learned System for predicting that what has happened before might happen again. A Learned System for mindlessly predicting that what has happened before might happen again. A mathematical Method for losing money on long options, regardless of which way the market trades. A Technique to lose money on options volatility. A Technique to lose money on market direction. A Learned Method to compare what you will lose to what you might make, assuming you don't change your position and assuming the market goes your way. An estimate of how the average ratio of market prices in some underlying actually differed from some series of ratios of market prices, for some period in the past, often used to estimate what that ratio deviation might be now. Indispensable for historically pricing options that have already expired. An estimate of the market's best guess as to what historical volatility might ultimately turn out to be. This is computed on the basis of observed options premiums that are, in turn, based on the market's estimates as to what implied volatility might be now. The cop of the quantitative world. Never around when you need it. A macroeconomic figure that provides the impetus for you to profit from your best guess as to what the consensus of everybody else's best guess about what the market's best guess of that same macroeconomic figure might have been, assuming your guess about the analysts' guess consensus about the market's guess was correct. I have an advance reader’s copy of Nicholas Phillipson’s Adam Smith: An Enlightened Life (Yale University Press, October 2010). For those unfamiliar with the book publishing business, this means a paperbound copy of uncorrected page proofs, with illustrations merely empty boxes marked FPO, for position only, some key production data described as TK, to come, and some elements—most notably, the index—not yet typeset. It also means that my Amazon link will have no image. This book is the intellectual biography of a man who wanted to have a not quite invisible hand in shaping his intellectual biography. His first serious biographer, Dugald Stewart, whose work was published in 1794, wrote that “he seems to have wished that no materials should remain for his biographers, but what were furnished by the lasting monuments of his genius, and the exemplary worth of his private life.” (p. 3) For instance, he saw to it that all his letters and lecture notes were destroyed. He had a few close friends, David Hume being the most famous, but did not shine in society. Samuel Johnson considered him “as dull a dog as he had ever met with.” (p. 210) His students didn’t agree. After a stint teaching at Edinburgh, he moved on to Glasgow where he lectured for more than a decade and became something of a cult figure. Students could buy his portrait bust at local bookshops. And what did he teach? At Edinburgh he gave lectures on rhetoric and jurisprudence; at Glasgow he lectured on moral philosophy. Adam Smith was first and foremost a philosopher whose ambition it was to develop a “science of man” that would incorporate law, history, aesthetics, economics, and ethics. The Wealth of Nations and The Theory of Moral Sentiments were meant to be part of this overarching project, never completed. Although Adam Smith spent most of his life learning, teaching, and writing and was renowned for his formidable erudition, he also demonstrated management skills. He was an academic administrator and a customs commissioner. He advised the Duke of Buccleuch on running his estates and when the Ayr Bank collapsed in 1772, three years after its founding, he spent a great deal of time trying to extricate some of his friends, including Buccleuch, from the fallout. It is impossible to do justice to Phillipson’s biography in this brief space. I have touched on only Adam Smith the man, not Smith’s ideas, the primary focus of the book. In closing, let me correct this bias ever so slightly. Phillipson interweaves Adam Smith’s philosophy, the intellectual and commercial setting in which he lived, and his personal story. It’s a fascinating tale. Of course, each story has a twist. The moral: however much we as traders and investors would like to have a single bit of news from tomorrow’s or next week’s or next year’s Wall Street Journal—well, perhaps it might not be as useful as we imagine. One link leads to another. A New York Times article “An Outspoken Fund Manager with Contrarian View” and a book reference. As the article reads: “The inspiration for his investment approach comes from an unlikely source: “The Gap in the Curtain,” a 1932 novel by John Buchan that is borderline science fiction. The plot centers on five people who are chosen by a scientist to take part in an experiment that will let them glimpse one year into the future. Two see their own obituaries in one year’s time. Mr. Hendry calls the novel 'the best investment book ever written' because it taught him to envision the future without neglecting what happened leading up to it, a mistake many investors make, he said." So guess what I’m doing, at least until the thunder storm zaps the power here? Back on April 5 I suggested caution for anyone planning to invest in Hungary in light of the expected landside win of Fidesz. The victory was indeed a landslide, and guess what? In case you’re not up on the news, here are two stories from Bloomberg: Forint Tumbles to 14-Month Low, Bond Risk Soars on IMF Talks and Hungary Refuses Further Austerity After IMF Talks End. As option trading expands so does the world of option education. Sites such as the CBOE provide free courses, webinars, and short videos. Former option traders trip over each other in the effort to earn money from teaching instead of trading. And brokers spend a lot of time explaining their increasingly sophisticated software. The retail option trader who simply buys calls or puts and waits until expiration to see whether he made money or lost his entire stake feels no need for this kind of education. He is in effect buying a lottery ticket, and who goes to school to learn how to play the lottery? But the person who takes option trading and risk management seriously needs some help. What factors should he consider when putting on a trade, and—more important—how should he manage that trade? What distinguishes The Option Trader Handbook: Strategies and Trade Adjustments (2d ed., Wiley, 2010) from the spate of available books on options is that the authors, George M. Jabbour and Philip H. Budwick, concentrate on trade management. They cover both the use of options to manage stock positions and the care and feeding of “pure” option positions. In a section new to the second edition they analyze the Greeks and risk management, but the authors recognize the myopia that can result from fixating on the Greeks. The bulk of the book is devoted to their risk/reward approach to trade adjustments in a series of "what if" scenarios. For instance, after you’ve established a 35/40 bull call spread the stock slides to $32. If you want to adjust your position, what alternatives are available? And what is the risk/reward profile of each alternative? Or you’ve put on a 35 calendar spread and close to the expiration of the front month option the stock moves to 37. Short of simply taking the loss, which is often the wisest course, what repair strategies can you employ? The authors focus on calls and puts, vertical and time spreads, and straddles and strangles. They spend very little time specifically on butterflies and condors (just how to roll a vertical spread into a butterfly and a butterfly into a condor). But since these combinations can readily be dissected into positions they analyze in great detail, this is not a serious omission. Although this book is lengthy and does not lend itself to a once-through cover-to-cover read, it provides the sophisticated novice to intermediate option trader with a series of game plans that can make the difference between winning and losing. That makes it an invaluable reference work. Daniel Coyle, author of The Talent Code, a book I haven’t read, writes a blog that's worth exploring. Among his recent posts: The Learner's Dictionary, The 0.25 Second That Makes All the Difference, Boosting Innovation Velocity, 3 Principles of Goofing Around, and Rules of Ignition. The basic premise of Coyle's book--no longer original--is that practice (with appropriate coaching), not genetics, is the more important in determining future success. People who use seasonality in making trading decisions should sign up for free data from the Kansas City Board of Trade site. In addition to daily e-mails it makes available to subscribers an annual wheat report created and produced by the Moore Research Center. Here is the 2010 edition. There are also both subscription and free goodies available on the Moore Research Center site, as I've referenced in the past. While I wait for new books to arrive it’s often worthwhile to go back to some old ones. John Sweeney’s Campaign Trading: Tactics and Strategies to Exploit the Markets (Wiley, 1996) is a book I return to more frequently than most, even though it’s no page turner. Sweeney is best known for his development and analysis of the notion of maximum adverse excursion (MAE), both in this book and in another one (Maximum Adverse Excursion: Analyzing Price Fluctuations for Trading Management) published a year later. He also introduced, although he didn’t study it as rigorously, the idea of favorable excursions (MaxFE and MinFE). Since I personally keep some rough statistics on a less clearly measurable variation of these ideas, I like to touch base now and again with the real McCoy. Sweeney is a frustrating writer because he throws out a lot of ideas that he doesn’t follow through on and belabors some obvious points. But every time I go back to this book I catch the glimmer of another bright idea. It’s seductive. As a follow-up to yesterday’s post here is a piece I saved, alas without a link. I have edited it slightly. My sincere apologies to the unacknowledged blogger. One of Soros’s most useful qualities has been his ability to detach his emotions from his dealings in the financial markets. In that sense, he is something of a stoic. While others permitted their egos to get in the way of making intelligent market decisions, Soros understood that the wise investor was the dispassionate investor. It made no sense to claim infallibility. Although it may have been difficult when a favorite stock suddenly took a plunge, it was far better, as Soros constantly did, to admit when he made mistakes. One day in 1974, Soros was playing tennis with an acquaintance. The phone rang. It was a broker in Tokyo, letting Soros in on a secret: That year President Richard Nixon was immersed in the Watergate scandal that would eventually cause his downfall. The broker was calling to let Soros know that the Japanese were reacting poorly to Nixon’s troubles. Having taken heavy positions in the Japanese stock market, Soros had to decide what to do--stay in, get out. His tennis partner noticed that sweat had formed on Soros’s forehead that had not been there during the match. Then and there Soros decided to sell. There was no hesitation, no feeling that he needed to consult anyone else before taking such a large step. It had taken him a fraction of a second to decide. That was all. Then there was the vaunted Soros self-confidence. When Soros believed he was right about an investment, nothing could stop him. No investment position was too large. Holding back was for wimps. The worst error in Soros’s book was not being too bold, but too conservative. “Why so little?” was one of his favorite questions. Part of Soros’s instinct was in detecting movement, one way or the other, in the stock market. This was not something one could learn in school; it was not part of the curriculum at the London School of Economics. This gift is one that few possess. And Soros had it. Some time ago I saw a book of this title, if I recall correctly on fiction writing. I wasn’t drawn to the book, but the title stayed with me. Because, I thought, the only way to make consistent, sizable money in the markets is by cunning and craft. Neither cunning nor craft alone is sufficient. It’s the combination that is so powerful. But first let’s define the two terms since they are often used interchangeably, which would defeat the whole point of this post. I use the word “cunning” to encompass a range of its more positive meanings: craftiness, wiliness, keen insight. By “craft” I mean skill or proficiency. Let’s start with the latter quality. A good craftsman learns his trade and continually hones his skills. If he’s a cabinetmaker he has to be precise in his measurements and skilled in his use of tools. He has to practice joinery over and over again. In time he may truly become a master craftsman. He’s unlikely, however, to become a billionaire. We are often told that to become successful in trading we have to master the craft. Well, yes, but is this enough? I don’t think so. One reason is that the markets are dynamic and to a large extent random. The craftsman may occasionally be confronted with new tools and new design plans. Sometimes he even has the indecisive client who keeps changing the specs over the course of a job. But a good craftsman doesn’t normally use his saw with consistent skill and get inconsistent results. The skilled trader does. Here’s where cunning must enter in—invoking craftiness or wiliness to find those trades or investments that will exploit market inefficiencies. What sets the likes of Paul Tudor Jones apart from the merely skilled trader? For one thing, cunning. Jones considers himself a premier market opportunist. What sets Warren Buffett apart from the skilled investor? Once again, at least in part cunning. These men are not merely master craftsmen; they are uncommonly shrewd. They leave average opportunities for average traders and investors and attempt to zero in on the best. And they believe in their own cunning because they commit wads of money to their best ideas. This theme could be developed at much greater length, but let me cut it short and perhaps inspire some dialogue. My bold pronouncement of the day: The trader or investor who is all cunning and no craft is doomed to failure; the trader or investor who is all craft and no cunning is doomed to mediocrity. Investors in search of a clear description of income investing need look no further than Marvin Appel’s Higher Returns from Safe Investments: Using Bonds, Stocks, and Options to Generate Lifetime Income (FT Press, 2010). He wisely spends most of the book on bonds since this is one of the most misunderstood areas of investing. He then looks at preferred stocks, dividend-oriented ETFs, and covered calls. Throughout Appel meticulously outlines the risk factors in these so-called safe investments and, where appropriate, their tax consequences. He illustrates his points with charts and tables and keeps statistics to a minimum (normally, just return and drawdown). Occasionally Appel suggests some tactical trading strategies, such as trading high-yield bond funds with 3% buy and sell stops evaluated once a month. He points out that this strategy works “only for investments where the size of the trend is significantly larger than the size of your stops,” (p. 87) which precludes most stock market investments. I seldom write about books directed at the average investor because most of them are both boring and useless. Perhaps because Appel has investing in his blood (he’s the son of Gerald Appel and left a medical/biomedical engineering career to become an asset manager) he draws on a store of knowledge that few financial planning authors could ever aspire to. As a result, he writes with fluency and authority. Will he keep your nest egg safe? Probably not, but then anyone who thinks there’s a sure path to investment success should probably read Tarot cards rather than this book. Well, not actually me but this blog. It’s now one year old and 352 posts strong. How does that translate into blog years? Seems as if it should be worth at least a dozen. But then, we might not want it to become a teenager. Many thanks to all my loyal followers and to the publishers who supply me with books. You keep me disciplined, plugging along day after day trying to find insights from which we can all profit. In the course of the year this blog has had 10,028 unique visitors (or, as Google so eloquently puts it, absolute unique visitors) from 112 countries. Some fled after a single visit, others remained faithful readers. Of course, this blog is not written for the masses, so counting heads is not important. Influencing minds is! Who is a trading talent? They identify six traits they are looking for in trainees. First, discipline, which they consider the most critical determinant in success. This includes academic discipline, mental discipline (maintaining focus throughout long work days), the discipline to stick to a plan, and emotional discipline. Second and perhaps surprising to many, humility—baseline humility coupled with quiet confidence. Fourth, preferably no previous trading experience; they want to shape their traders according to their firm’s culture. 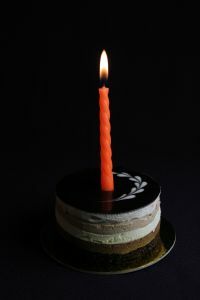 Fifth, a gift with numbers. Remember that we are talking here about market makers in the world of options, which is more quantitatively driven than that, say, of equity futures. Would you be a strong candidate? Often a financial writer’s second book is merely a warmed-up version of the first. This is decidedly not the case with Steven Drobny’s The Invisible Hands: Hedge Funds Off the Record—Rethinking Real Money (Wiley, 2010). This is a terrific book, even better to my mind than Inside the House of Money, about which I wrote favorably, if belatedly, last summer. The Invisible Hands is a series of interviews with two identified contributors from Drobny’s first book and ten anonymous global macro hedge fund managers whose funds collectively have over $100 billion under management and who performed well in 2008. The book’s stated goal is “to provide an understanding of how successful global macro hedge fund managers navigated the most significant financial crisis of our lifetimes and to offer suggestions for how real money managers and all investors can incorporate certain elements of the macro approach into their own investment process.” (pp. xviii-xix) With the endowment model failing during the crisis (Yale’s endowment assets, for instance, fell from almost $23 billion to $16.3 billion for fiscal year 2008-2009, a decline of nearly 30%) and global macro hedge funds returning 4.83% in 2008 and 4.03% in 2009, there’s something to be said for taking a closer look at global macro strategies. Many of these strategies are difficult if not impossible for the individual investor to implement. But the thinking behind them and the way their risk is managed are often so compelling that everyone who is active in the markets can learn a tremendous amount from these interviews. Moreover, even though most of the contributors are anonymous their life stories are fascinating, sometimes even inspiring. Here are just a few snippets. They are not representative of the book as a whole because it doesn’t lend itself to such piecemeal extraction. An article in last Friday’s New York Times profiles Carmen Reinhart and Kenneth Rogoff, authors of This Time Is Different, which I reviewed earlier on this blog. The article highlights the divide within economics between “theoretical coherence and elegance” and “investigating data” and notes that “over the last few decades . . . economists [have] glorified financial papers that were theory-rich and data-poor.” The quants made the empiricists seem mundane, perhaps even outmoded. Reinhart and Rogoff, of course, are the quintessential data collectors and maintain that although data gathering may not save us, ignorance of data is lethal. In a series of papers collected and edited by colleagues after his death (Statistical Models and Causal Inference: A Dialogue with the Social Sciences, Cambridge University Press, 2010) David A. Freedman, a mathematical statistician and professor of statistics at the University of California, Berkeley, also defends the empiricists. Relying heavily on epidemiological examples, he argues for a “shoe-leather” methodology against increasingly technical approaches to statistical modeling. I'd much rather have triple digit gains than triple digit temperature readings. How many bloggers who write about things financial would ever think to read the “Risk Management Handbook”" (2009) put out by the Federal Aviation Administration and available for free download? Yeah, probably one. Since its primary target is pilots of non-commercial aircraft, sometimes the handbook reads like a driver’s manual. How long does it take for two aircraft flying toward each other at speed x to impact? How do you calculate rate of climb so you don’t fly into the side of a mountain? Why is it a really dumb idea to replace a bolt in your plane with one bought at the local hardware store? Here I’m limiting myself to avionics. 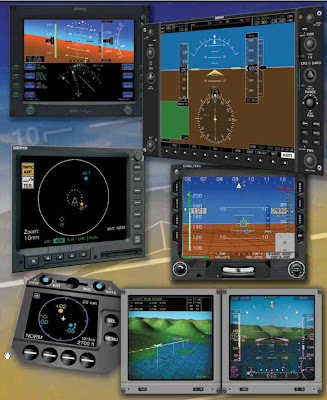 An automated (or advanced avionics) aircraft is essentially a two-screen system. The left computer screen is the primary flight display; the right screen is the multifunction display, which includes GPS with traffic and terrain graphics and a fully integrated autopilot. 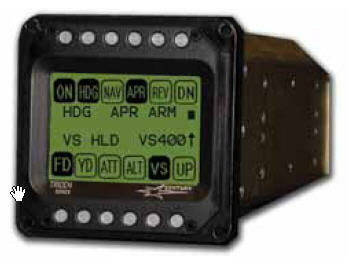 A typical autopilot system is the little black box pictured at the beginning of this post. As trading becomes increasingly automated, we might do well to heed the words of caution from the world of avionics. Today is Independence Day in the U.S. I briefly contemplated writing something about the notion of independence as it relates to the independent trader but decided that such a post would desiccate a very rich concept. So instead I’m going to celebrate independence, which at least in part includes the freedom to disagree, by linking to a high frequency cartoon version of a quasi-Marxist analysis of the crises of capitalism. I assume that no one who reads my blog comes close to being a Marxist, but this offering by the ever clever RSA Animate is worth looking at. And if you find his argument wanting, there is, naturally, a critique. Writing your thoughts and feelings down (in a journal, or on paper to be thrown away) can help you clarify things and can give you a renewed perspective. I just learned that the IFTA Journal, the sometimes annual publication of the International Federation of Technical Analysts, is available online. So if you’re bored over the weekend, perhaps you’ll find something within these pages that interests you. As we in the U.S. prepare for the long holiday weekend, here are a few thoughts on success (taken from an e-book that promotes a website that sells lots of “secrets”). Many are familiar, but that doesn’t detract from their merit. The other day Mohamed El-Erian referenced Donald Sull’s The Upside of Turbulence: Seizing Opportunity in an Uncertain World (HarperCollins 2009). I don’t have a copy of the book, so I’m at the mercy of the bits that are publicly available. It is critical to understand who’s on our playing field, who our rivals are. We need not be more agile than high frequency traders if they are not our rivals. We can play a very slow game if we’re competing against pension funds, a faster game if we’re swing trading, and must be considerably faster if we’re scalping intraday. We shouldn’t feel disadvantaged because we’re not the speediest players in the markets; we just have to be more adroit than our adversaries. And this means, as I mentioned the other day, acting on the least amount of information necessary to reduce the inevitable uncertainty. Market players should be well aware that “all our theories will let us down.” A trending market stops trending, momentum gives way to mean reversion, and theories of regime change are in constant need of revision themselves. After all, we have to remember that we’re trying to predict what our rivals will do in the future, they are trying to predict what we will do, and no one has a crystal ball. In some limited sense we’re predictably irrational, as Dan Ariely wrote; we leave footprints on every chart. But circumstances change, and we are often caught flat-footed. Staying nimble is difficult on many levels. We certainly don’t want to flit from trade to trade and strategy to strategy at the slightest sign of weakness. We have to distinguish between a theory that is being challenged and one that is failing (or has failed). There are lots of meta-theories here, most of them grounded in history. But since we’re talking about the present and the future, and history keeps shifting forward, they’re also subject to revision. We must accept the fact that we’re trying to make money based on uncertain cues and uncertain prospects and that we’ll find certainty nowhere. We don’t know which trades will fail and when and how they will fail, which theories will fail and when and how they will fail. It doesn’t matter how smart we are, how experienced we are, we’re mired in uncertainty. The upside is that our rivals are no better off. If we can reduce uncertainty even slightly and act on our perceived opportunity quickly and decisively, we should have a clear edge over our rivals.